We’ve all been there. Hangovers so mighty they could fell a lumberjack. Your head pounds louder than the last night at Fabric, your stomach threatens to unleash a river of kebab meat, your pores weep pure vodka tears. Conventional wisdom tells us that a walk in the fresh air, a boost of electrolytes and a healthy dose of vitamins will help mend our broken bodies. And yet we still prefer to opt for the far less effective but infinitely more enjoyable fry-up-and-a-snooze method. The only real cure, however – short of hooking yourself up to an IV for a few hours – is the much-debated hair of the dog. Socially acceptable when it’s a Bloody Mary at brunch, not so much when you’re necking dregs of lager from the cans littering your bedroom floor. But so effective is this method of world-righting that an entire genre of cocktails have been historically dedicated to it. Enter the corpse revivers, so named for their power to wake the dead. In the late 1800s, the term corpse reviver referred simply to a ‘dram of spirits’, and encompassed a wide array of tipples. Craddock’s original recipe featured much the same ingredients you’ll find today: dry gin, botanical absinthe, zingy fresh lemon juice, citrus-soaked Cointreau and French aperitif Lillet, blended to enlivening effect. Here Vohra uses Lillet Blanc instead of the original Kina Lillet, preferring the sweet, crisp citrus notes it brings to the drink. The bitter orange flavour in the Cointreau balances these citrus notes, while adding a beautiful bouquet of sweet undertones. 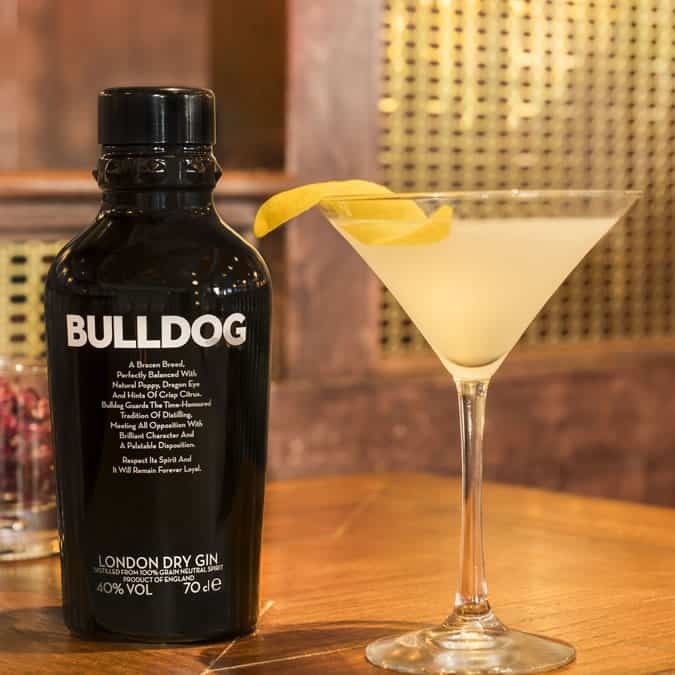 Beneath these delicate layers lies the deep, strong aniseed profile of the absinthe, and the spicy tones of Bulldog gin. Not for the faint of heart, needless to say. “The mouthfeel is sharp and punchy,” says Vohra, “but the while the cocktail is assertive, it’s also deliciously moreish.” So much so that you might need another tomorrow morning. Add the gin, Lillet Blanc, Cointreau, lemon juice and absinthe to a cocktail shaker and shake well until completely combined. Add the cubed ice to the shaker and shake again.